iTravelInsured, also known as iTI, is a partner of AardvarkCompare. 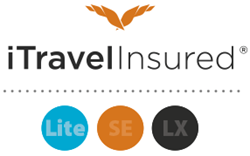 We showcase its iTravelInsured Travel SE Insurance product. For more than a decade, iTravelInsured®, Inc. has provided travel insurance to more than a million travelers worldwide. Its mission is to help travelers protect their travel investment from the unexpected. iTI realizes that while traveling is an exciting experience, anything can happen while you are away from home. Its specially designed travel insurance plans paired with our world-class service provide the cover and confidence travelers need and have come to expect from iTravelInsured. Rest assured that iTravelInsured is there with you, wherever your travels take you, bringing world-wide cover, multilingual capabilities, international claims specialists and access to 24-hour emergency assistance service. iTravelInsured is a wholly owned subsidiary of International Medical Group®, Inc. (IMG®), a worldwide leader in designing, distributing and administering global health care benefits. Through their family of companies, they bring their insurance expertise to international travelers, vacationers, business executives and consultants, missionary groups, expatriates, professional entertainers, athletes, government entities, maritime officers and crew. iTI is also an accredited business member of the Better Business Bureau and proudly carries an A+ rating. Travel SE is a family-friendly plan. Children under 18 are covered at no additional cost. The Travel SE program is our most popular plan for domestic and international destinations. Travel Insurance cover and benefits are available whether traveling on a cruise or a tour vacation abroad. Children aged under 18 are covered at no additional cost per eligible adult insured. Family extras such as movie rental, internet usage and additional kennel fees caused by travel delay are included. The above is a summary of insurance benefits that are part of the policy. Please review the insurance policy for a detailed description of the terms, conditions and exclusions. Availability and benefits may change per state. If you are not satisfied for any reason with the cover, you may submit a cancellation request and receive a full refund within 10 days from the effective date of your cover, as long as your trip departure date has not occurred and you have not filed a claim. The policy is non-refundable after 10 days. *The trip cancellation benefit is determined by the amount of your trip you elect to protect, up to the maximum benefit stated above. **The trip interruption benefit is determined by the amount of trip cancellation benefit purchased. All benefits are per insured person. 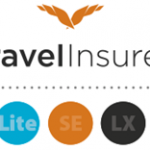 What benefits are included in an iTravelInsured travel insurance plan? When does insurance cover begin? Trip Cancellation: Cover begins at 12:01 a.m. on the day after the date the appropriate premium for this Policy is received by iTravelInsured, Inc. This is Your “Effective Date” and time for Trip Cancellation. All Other Cover: Cover begins when You depart on the first Travel Arrangement (or alternate travel arrangement if You must use an alternate travel arrangement to reach Your Trip destination) for Your Trip. This is Your “Effective Date” and time for all other cover, except Trip Cancellation. Your cover automatically ends on the earlier of: 1) the date Your Trip is completed; 2) the Scheduled Return Date; 3) Your arrival at Your return destination on a round-trip, or the destination on a one-way trip; 4) cancellation of Your Trip covered by this Policy. Termination of this Policy will not affect a claim for loss that occurs after premium has been paid. What if a trip is longer than 90 days? The insured would have cover for the first 90 consecutive days of a trip. Cover would end at 12:01 a.m. on the 91st day of the insured’s trip. Contact iTravelInsured to inquire about possible insurance options for trips longer than 90 days. What is a definition of a “Trip”? “Trip” means a scheduled trip for which cover for Travel Arrangements is requested and the premium is paid prior to Your actual or Scheduled Departure Date of Your Trip. What perils are covered under the Trip Cancellation benefit? Emergency Sickness, Injury or Death to You, a Family Member, a Travel Companion, a Business Partner or a Child Caregiver. You or a Travel Companion are hijacked. You or a Travel Companion are detained under quarantine. You or a Travel Companion are summoned to serve on a jury or served with a court order to appear as a witness in a legal action in which You or Your Traveling Companion is not a party (except law enforcement officers). Your home or the home of a Travel Companion is made Uninhabitable by fire, flood, burglary or a Natural Disaster. A documented theft of Your passport or visa that prevents You from going on Your Covered Trip. A permanent transfer of employment of 250 miles or more. An automobile accident directly involving You or a Travel Companion, substantiated by a police report, while en route to a departure point for the Covered Trip. Unannounced Strike that causes complete cessation of services for at least 6 consecutive hours of the Common Carrier on which You are scheduled to travel. Inclement Weather that causes complete cessation of services for at least 6 consecutive hours of the Common Carrier on which You are scheduled to travel. Mechanical breakdown that causes complete cessation of services for at least 6 consecutive hours of the Common Carrier on which You are scheduled to travel. A government-mandated shutdown of an airport or air traffic control system due to a Natural Disaster. You or Your Traveling Companion is in the military and called to emergency duty for a national disaster other than war. Involuntary employer termination or layoff of You or a Traveling Companion. Employment must have been with the same employer for at least 1 continuous year. A Terrorist Incident that occurs within 30 days of Your Scheduled Departure Date in a city listed on the itinerary of Your Trip. Revocation of Your previously granted military leave or re-assignment due to war. Bankruptcy or Default of an airline, or cruise line, tour operator or other travel provider (other than the Travel Supplier, tour operator or travel agency, organization or firm from whom You purchased Your Travel Arrangements supplied by others) causing a complete cessation of travel services more than 10 days following Your Effective Date. You, Your Traveling Companion or a Family Member traveling with You is required to work during the Trip. Up to 7 days’ mandatory evacuation ordered by local government authorities at Your Trip destination (or official public evacuation notices or recommendations without a mandatory evacuation order issued) due to adverse weather or Natural Disaster. You, Your Traveling Companion or Family Member traveling with You is required to work during the Trip. *Available if policy is purchased within 20 days of initial trip payment. 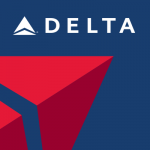 A cancellation of Your Trip if Your arrival on the Trip is delayed and causes You to lose 50% or more of the scheduled Trip duration due to the reasons covered under the Missed Connection Benefit. *Complete details of coverage, terms, limitations and exclusions that may affect benefits are summarized in the certificate. Please read the certificate carefully and note all state exceptions that may apply. What is Common Carrier AD&D? This benefit covers for loss of life, limb or sight that is a direct result of a covered accident that occurs during a trip while the insured is entering, onboard, or exiting from a licensed Common Carrier (such as an airplane, a bus, a train, a ship, or a taxi) licensed for the transportation of passengers for hire. Complete details of cover terms, limitations and exclusions that may affect benefits payable are summarized in the certificate. Please read the certificate carefully and all state exceptions that may apply. What events are covered under the Trip Interruption benefit? The perils protected against are listed in your policy and include various benefits available to you in the event you must interrupt your covered trip for a covered reason. These perils are similar to the trip cancellation perils except they provide coverage once you depart for your covered trip. The insured is reimbursed for unused non-refundable travel arrangements plus additional transportation costs to catch up to their trip or return home early. What does Baggage Delay cover? 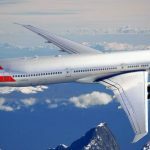 This benefit reimburses a specified amount for the purchase of emergency toiletries and clothing when an insured’s checked luggage is lost or delayed by the airline or other Common Carrier for 24 hours or more. Is loss of baggage covered? Baggage and personal possessions are covered up to the specified amount with the iTravelInsured Travel SE and Travel LX plans. A maximum benefit of $250 per item applies. Complete details of coverage terms, limitations and exclusions that may affect benefits payable are summarized in the certificate. Please read the certificate carefully and all state exceptions that may apply. 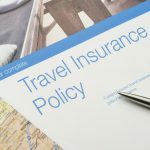 What are the stipulations to cancel my travel insurance cover? If You are not satisfied for any reason, You may cancel insurance under this Policy by giving the Company or the agent written notice within the first to occur of the following: (a) 10 days from the Effective Date of Your Insurance; or (b) Your Scheduled Departure Date. If You do this, the Company will refund Your premium paid provided no Insured has filed a claim under this Policy. What does the Travel Delay benefit cover? A documented weather condition preventing You from getting to the point of departure. Can I buy travel insurance after an incident has occurred? Only incidents that occur after your policy is in effect are considered. Insurance does not cover events that are no longer unexpected or unforeseen. What is considered an Accident? An Accident is defined as a sudden, unexpected unusual specific event that occurs at an identifiable time and place, and shall also include exposure resulting from a mishap to a conveyance in which You are traveling. Are there any coverage exclusions? Complete details of coverage exclusions that may affect benefits payable are summarized in the certificate. Please read the certificate carefully and note all exclusions and state exceptions that may apply. Can the Pre-Existing Condition Exclusion be waived? The iTravelInsured Travel SE plan offers a waiver. How can a traveler get assistance while on a trip? If a traveler needs help with any travel emergency (from a lost passport to the need for medical care) please call one of the following numbers as soon as possible: (1) 866-243-7524 or (1) 317-655-9798 from outside North America. Travel assistance is available to travelers 24 hours a day, every day of the year, wherever they are in the world. iTravelInsured offers more than insurance protection. The following emergency travel assistance services are available to you, at your request, 24 hours a day, seven days a week, while you are on a trip covered under a contract administered by iTravelInsured to bring you Global Peace of Mind®. Emergency Travel Arrangements: In the event you must return home or discontinue your trip as a result of an interruption in travel due to an illness of your spouse, child, parent, in-law or grandparent, iTI can help you make the appropriate travel arrangements. Lost Passport/Travel Documents Assistance: iTI can help you report, retrieve or replace lost or stolen travel documents, such as your passport, credit cards and airline tickets. Lost Luggage Assistance: iTI can assist you in communicating with the commercial carrier for the return of your lost luggage. Embassy or Consulate Referral: iTI can inform you of the location and contact telephone numbers for the nearest embassy or consulate, no matter where you are. Emergency Message Relay: iTI can receive or transmit emergency messages between you, your family or your employer. Emergency Prescription Replacement: iTI can assist you with the replacement of lost or damaged prescription medication. Medical Referral: If urgent medical advice or care is needed, iTI is prepared to refer you to the nearest appropriate care facility or provide a listing of available medical care to you. iTI can assist with obtaining an appointment with the medical care provider you have chosen. Assistance 24-Hour Medical Monitoring: If you are hospitalized, iTI can provide medical professionals to communicate with your treating doctor(s) and help you monitor your condition. iTI can also communicate with your family doctor, as you direct. Emergency Cash Transfer: iTI can help you transfer funds, up to $500, in the event you have a medical or travel emergency. Legal Referrals: iTI can provide you with a referral to the nearest attorney. Emergency Translations: iTI can provide personal, emergency telephone translation services and referral to a local interpreter service should you require language assistance. Working in multiple time zones, languages, and with numerous currencies are not obstacles for iTI. 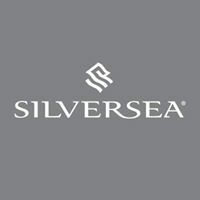 It maintains an international staff for its international client base. Its claims specialists and multilingual customer service professionals work seamlessly with you in order to communicate without barriers. The iTI claims administration team, with an average experience of 14 years, prides itself on its accuracy, response time, and cost control efforts to deliver consistent and fair claims adjudication services, including prompt payment claim settlement proceeds. Its staff has handled claims from more than 166 countries. The iTI on-site medical team combines over 200 years of medical expertise and experience handling medical emergencies and medical evacuations around the globe. Additionally, through its proprietary network of over 17,000 accomplished physicians and facilities, you have access to quality care worldwide. iTI travel insurance plans are underwritten by United States Fire Insurance Company. Fairmont Specialty and Crum & Forster are registered trademarks of United States Fire Insurance Company. The Crum & Forster group of companies is rated A (Excellent) by A.M. Best Company 2014. I already have cover…or do I? Do you know if any type of travel insurance cover is included with your credit card? How about your health care policy? Maybe your homeowner’s plan? Medicare? 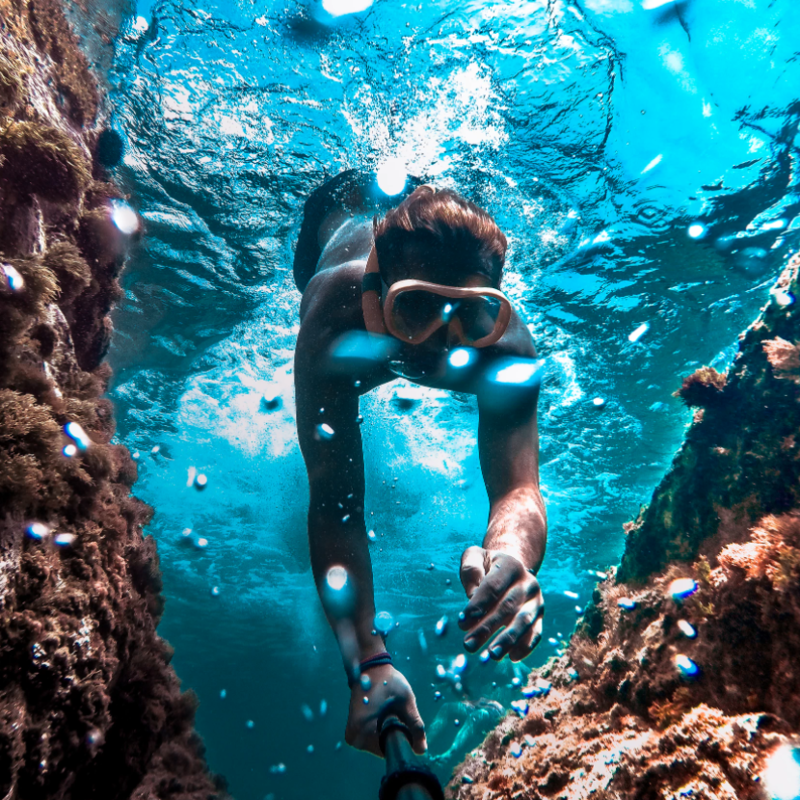 Travel insurance is designed to provide cover where none exists, or at least fill in major gaps that exist in other types of insurance program. Cover gaps are caused by a complete absence of cover, deductibles, exclusions, coinsurance or co-payment penalties. Review your personal credit card, health, homeowner’s and other insurance programs that you already own, and use this guide to make an informed decision about the purchase of travel insurance. Credit Cards – Recent estimates suggest that the average American has four credit cards. 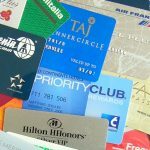 A review of over 136 credit cards revealed that less than 15% actually provided some type of travel insurance as a credit card benefit, and if they did it was on a very limited basis. Trip cancellation and Interruption benefits are not typical benefits offered by credit card programs. Homeowner’s or Renters Insurance – Personal Property Coverage in a Homeowner’s insurance coverage generally provides for loss to personal property, anywhere in the world, subject to named perils (i.e. fire, theft, vandalism, etc. ), less a deductible (usually $500 or $1,000), contained in “temporary living quarters” occupied by the named Insured. Homeowner’s insurance does not provide coverage for trip cancellation, interruption, baggage delay or medical benefits. Health/Medical Insurance Plans – Traditional domestic health insurance plans may not provide cover outside the U.S. If they do, the plans may impose high deductibles ($1,000 to $5,000) and co-pays (60-80% of eligible charges). Out-of-country emergency medical transportation services are not commonly offered under health care plans due to the cost for this service. Medicare – To be eligible for Medicare, a U.S. citizen must be aged 65 or older. Medicare does not provide cover outside the U.S. unless a Medigap (C or higher) plan is purchased. Medigap plans generally limit coverage to 80% of emergency treatment costs less a $250 deductible. Most Medigap plans also have a lifetime maximum of $50,000. U.S. Embassies – The U.S. government will not provide cover for medical costs or medical transportation needs. The State Department may assist in arranging medical transportation, but the responsibility for payment is yours alone. Check your other insurance carefully to understand what benefits are offered with your credit card and how those benefits are activated. Airlines, cruise lines, hotels, tour operators have cancellation penalties. A discussion with your travel agent will help you become aware of your financial exposure should the unexpected happen. 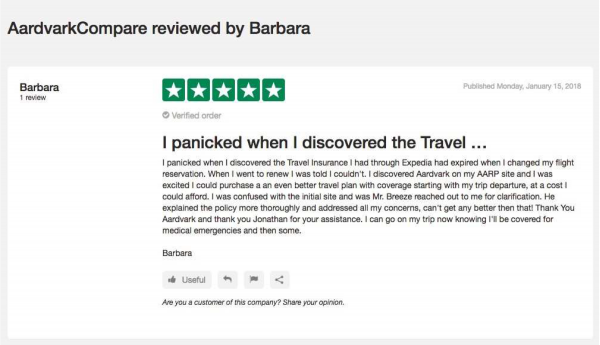 As always, at AardvarkCompare we recommend that travelers consider travel insurance. You can get an anonymous quote in seconds, and compare dozens of the top travel plans from many of the largest US travel insurers, saving you time and money finding the right travel plan for your needs. In short – the price of a trip insurance quote for an insurance plan that you see from AardvarkCompare is the same price you would see from the insurance carrier direct – we are not allowed to compete on price for ‘filed’ insurance products. No one is. You are certain to get best value from us. Frequent Flier Miles – Can I Insure Them?